School of Rock has been teaching audiences to stick it to the man for a year on Broadway. The tuner opened on the Great White Way on December 6, 2015 and garnered four Tony Award nominations, including a nod for original frontman Alex Brightman's performance, Best Book, Best Original Score and Best Musical. 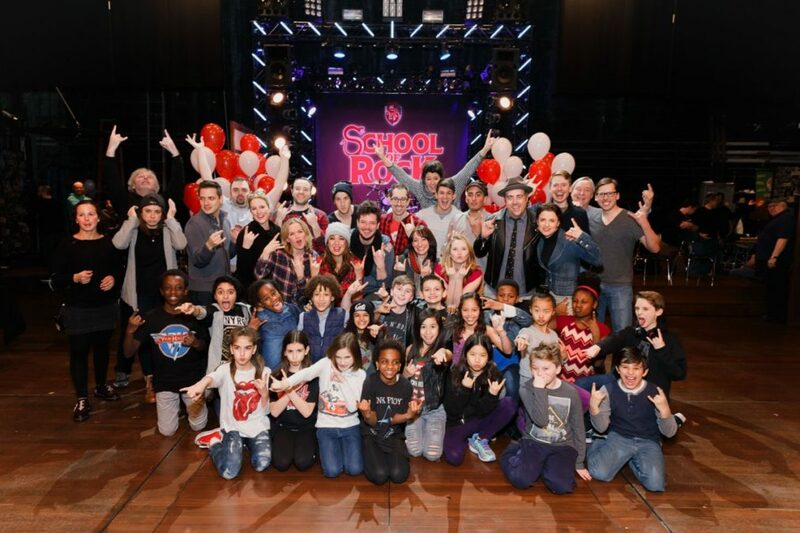 School of Rock's current lineup includes Eric Petersen as Dewey Finn, Jenn Gambatese as Rosalie Mullins and original pint-sized band members Bobbi MacKenzie as Tomika, Brandon Niederauer as Zack and Luca Padovan as Billy. The entire company came out to celebrate the musical's one-year anniversary with a cake and a whole bunch of balloons. Enter the halls of Horace Green and catch School of Rock's epic battle of the bands at the Winter Garden Theatre. Also, fans can get schooled with the musical's marvelous making-of documentary and take a look at our hot shots!